Delicious appetizers from cooks from Just a pinch. 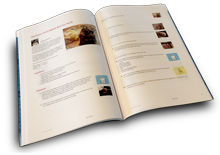 Wow, you sure can create some lovely cookbooks! this is another winner. Thanks so much for including my recipes! Kelly , Your books are great too , I would love it if they would give me a couple for making all these but you know that will never happen!! Joanna , I haven't had the chance to make them yet but will soon , they sound delicious!! Bonnie G. Thank you and your very welcome , I love homemade onion rings!! Thank you for featuring the Old Fashioned Onion Rings. I love this cook book! Wow, Thanks for including my PIGGY TOES in your book what an honor! Have you tried them yourself yet? If you did what did you think??? Me too!!!!!!! :-( And I mean that from the bottom of my heart!!! Karla, I love the cover... and the recipes!!! OMG, I think I gained 12lbs just reading them!!! Awesome cookbook my friend, AGAIN!!! You are truly amazing at how you put the recipes together that COMPLIMENT EACH OTHER!!!! Nancy ,Thank you very much !! Beautiful,yummy and I love ALL of your cookbooks. I appreciate all off your hard work and dedication to cooking. Thanks Karla!! You must win a prize for all the great books u have created!! Karla, Thanks for using one of my recipes. This is a great go to book for appetizers. Great job.